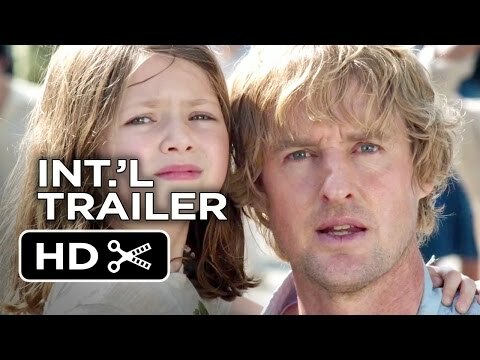 The lowdown: Gripping thriller with Owen Wilson as an engineer relocating his family to the Far East. But, on the second day in their swanky hotel rebel insurgents overthrow the government and declare war on foreign nationals, meaning the Americans must make a break for the border. Simplistic, but with more political commentary than say American Sniper, and featuring ex-Bond Pierce Brosnan in solid support, this has moments of nerve-shredding tension, with a rooftop set-piece likely to appear on scenes of the year lists. 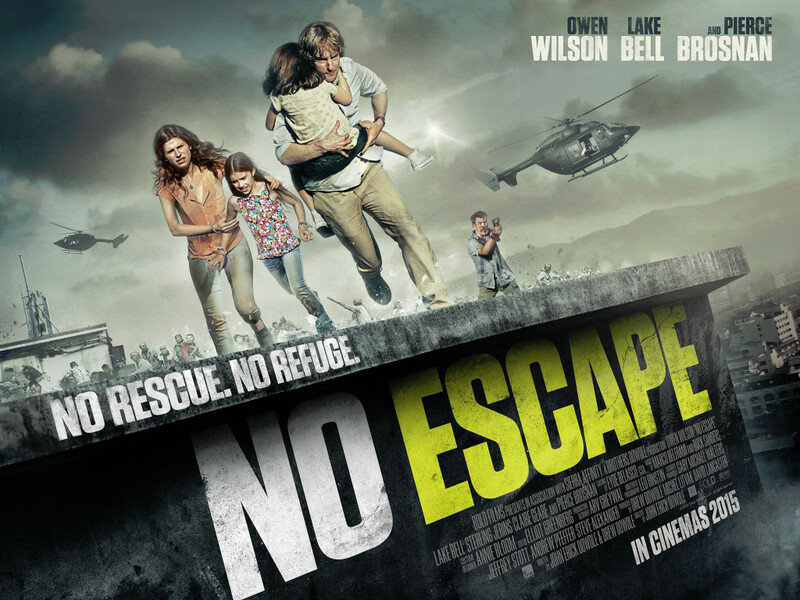 The full verdict: Sadly all-too-topical after the ISIL beachfront massacre of Western tourists in Tunisia, No Escape performs the delicate balancing act of using violent revolt for a chase movie, with only the occasional stumble. And it is fascinating how endless depictions of zombie apocalypse have set the tone for any societal breakdown movies. Early scenes here of gun-wielding insurgents storming a plush hotel could have been lifted from World War Z (and director Dowdle has zombie priors having directed the [REC] remake Quarantine). Against type casting has Wilson as Jack Dwyer, an engineer targeted by rebels as a first world aggressor when he’s hired by a corporation to work on a clean water program. He’s joined by co-comedian Lake Bell as wife Annie, both delivering raw, believable performances when the violence erupts. Dowdle sets the scene with his white collar family out of water, then puts them in situations of ever-escalating peril. A moped ride through an angry mob, the family swathed in disguises, is a pitch perfect example of staging suspense and to the film’s credit it is never certain what the family’s fate will be. Brosnan, as a laidback, David Bowie by way of Bondi Beach accented tourist with a few tricks up his sleeve gives the political context for the uprising – globalisation and corporate rapaciousness. But, not providing the mob a voice (subtitles are eschewed) may convey the Dwyer’s confusion but brings No Escape close to “swarms of foreigners” territory. Not entirely successful, but as a thriller trying to say something it hits more targets than The Gunman.